A stunning assortment of Indian inspired block prints composed with natural dyes on our signature cotton. 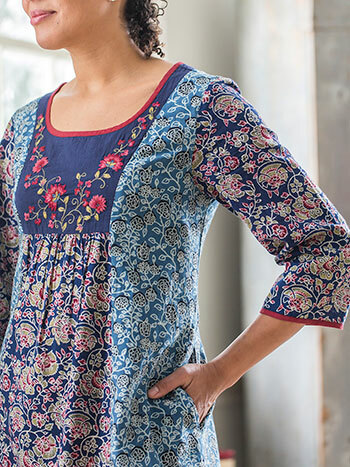 The indigo Jaipur tunic also showcases gorgeous embroidery, practical pockets and light gathers for a free flowing silhouette. Great colors/material and embroidery work. An eye-catching piece for sure. 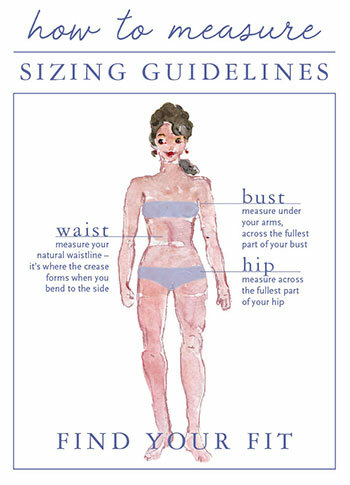 This is more of a short dress than a tunic, really. Adorable. The darker fabric especially has a beautiful print. This tunic is precious! I love the quality of the fabric and of course, the design! April Cornell is a product I love to treat myself. She never disappoints. 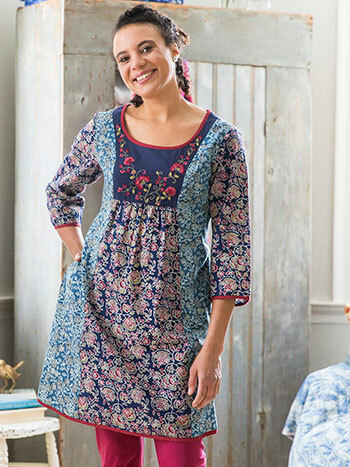 The tunic is comfortable and beautiful.